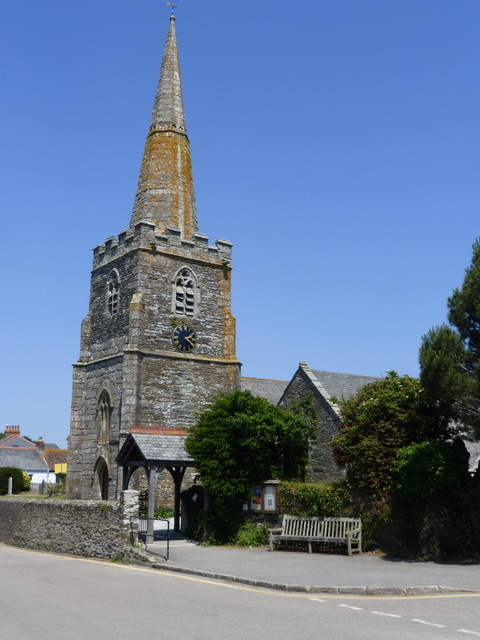 St Gerrans (or St Gerent) is something of a landmark at the end of the Roseland, its tall octagonal spire visible for miles around. The church stands in the middle of a quiet village which stretches downhill to join the former fishing village of Portscatho. 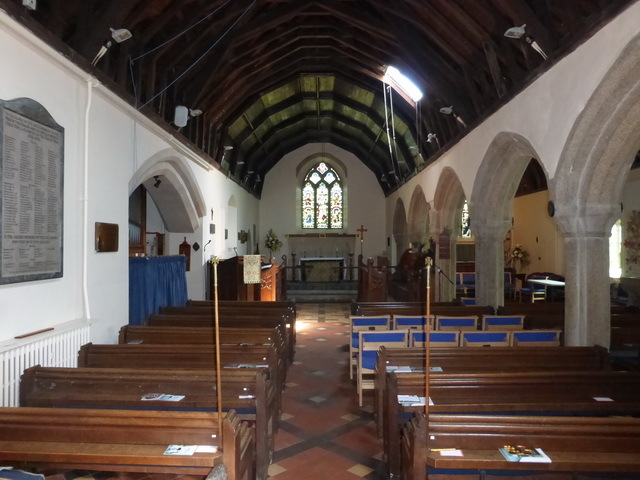 Inside, the church is quite dark, largely thanks to the dark-wooden Victorian roof. It seems that much of the church was actually re-ordered and re-arranged by White in 1849-50 who managed to retain the basic layout without the extravagant frills of the time. He must have known that the roof was going to be dark for he installed skylights which provide some uncharacteristic shafts of light in the nave. Although of a traditional nave, south aisle and north transept layout, there is also a small ‘prayer’ chapel to the north-east. This was a Victorian vestry and, judging by its chimney, a boiler house, which has since been converted into a quiet space. The most notable modern change is the creation of an office/toilet/coffee-making/break-out space at the west end. 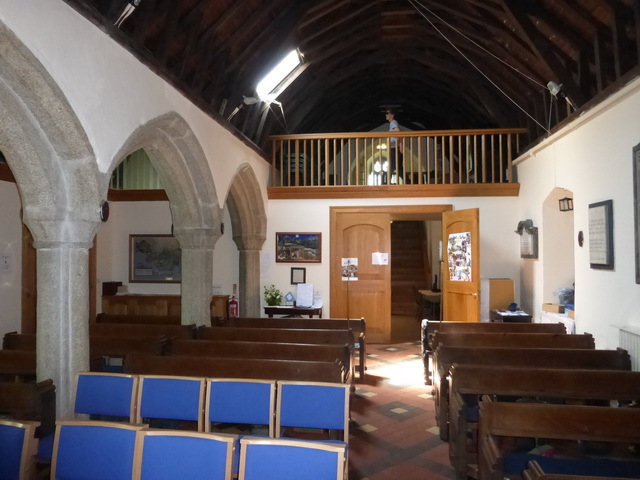 This incorporates the tower lobby with one bay of the nave and aisle really quite successfully. There was something not quite right about the church when we visited. Was it the multitude of soft toys clustered around the font, a lighthouse model sitting in the bowl; the papers lying around the pews; the cluttering of ‘junk’ up on the balcony or the spiders and their webs that were so evident from the balcony? Halfway up the tower is a decorated band indicating where the original was repaired in 1636. Outside is a fine wheel-headed cross.